The Seven Boyd Schools, Montessori schools located in Virginia, have recently finished installing biometric systems intended to increase the security of their students, specifically the very young ones, according to a Security Director News article. 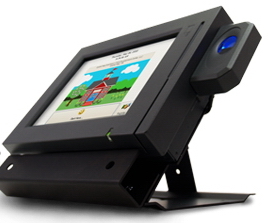 The system the schools are using is BioSafe which was developed for them specifically by New Year Tech, a systems integrator based in Virginia, utilizing near-infrared hand-vein scanning hardware from Identica, a biometrics developer. The new system completely digitizes the act of dropping off or picking up children as well as any special care instructions teachers need to be aware of. Via a touch screen and scanner, parents will enter a PIN, scan the back of their hand, enter which children they are dropping off as well as any pertinent information for the teachers and are then allowed access to the building. Subsequently, the children’s teacher is made aware of the students’ arrival and electronically checks them in once they arrive in the classroom. For the Boyd Schools, the system goes beyond access control to their building by also assisting in tracking exactly who is in the building during emergency evacuation procedures. Future possibilities for adding on to the systems include utilizing IP-based security cameras and automated background checks.